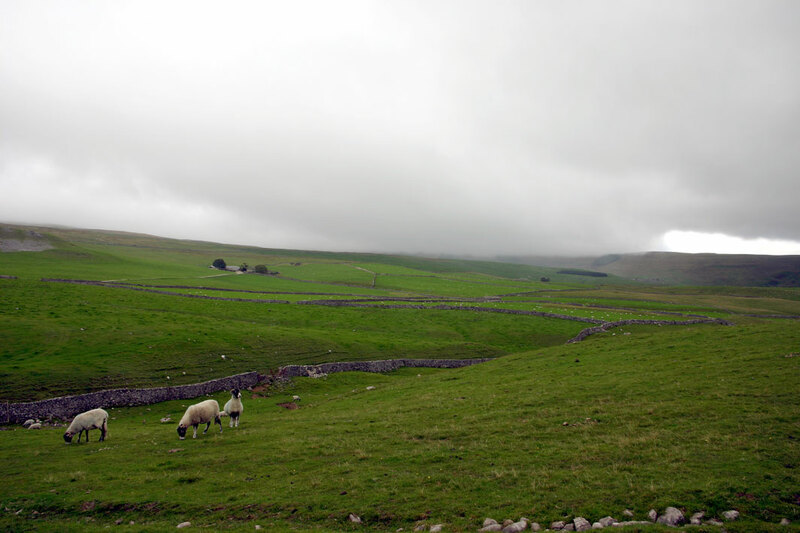 Although months had passed since I arrived on foot at Horton in Ribblesdale, it was not such a long time that I felt disconnected from the route. So this re-acquaintance with the Pen-y-Ghent Cafe seemed to be a mere continuation, almost as if we'd just stayed overnight nearby. The journey on this occasion, just to add to the variety of starting routes, was a Monday morning drive up the M1, and through Bradford on a beautiful fresh morning with children lined up along the streets and roads ready for their first day back at school. Or even their first day at school in some cases. After such an early start and lengthy drive, I was pleased to get out of the car and into my walking attire. A quick second breakfast in the cafe and I was away at about 10.15: at first in the wrong direction as the cafe has no toilets, but then across the main road and instantly gaining height on this long-awaited ascent of Pen-y-Ghent. I have climbed this hill once before: probably about thirty years ago, however, so the memory is a little hazy. Also, it was from the other (south-eastern) side, so this was all new to me. Before getting on to the real mountain I had a short diversion to the unusual pothole of Hull Pot. The geocache was the main reason for the visit, but I'd recommend this easy diversion as it costs little in time or energy and the collapsed cave is quite a feature. 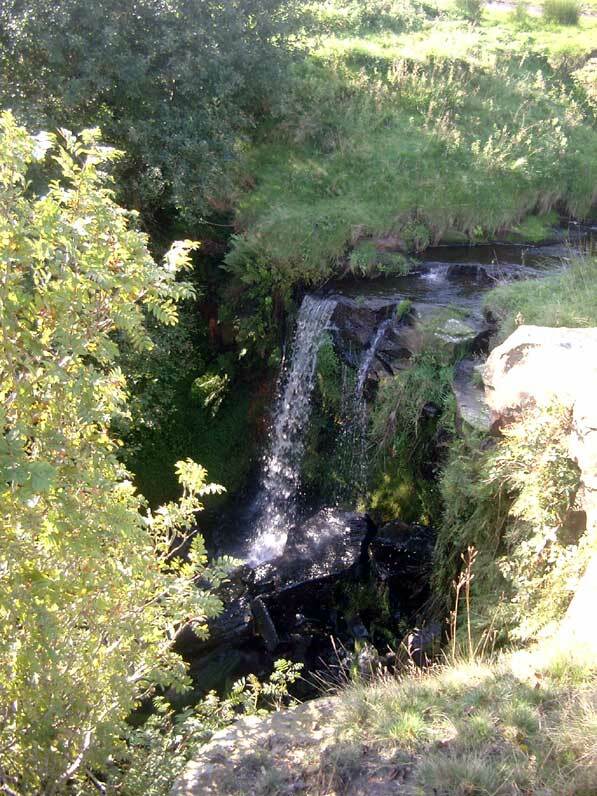 I think it's at its best when there has been a lot of rain - on this day there was only a small waterfall trickling away but in the sunshine it was an interesting place. 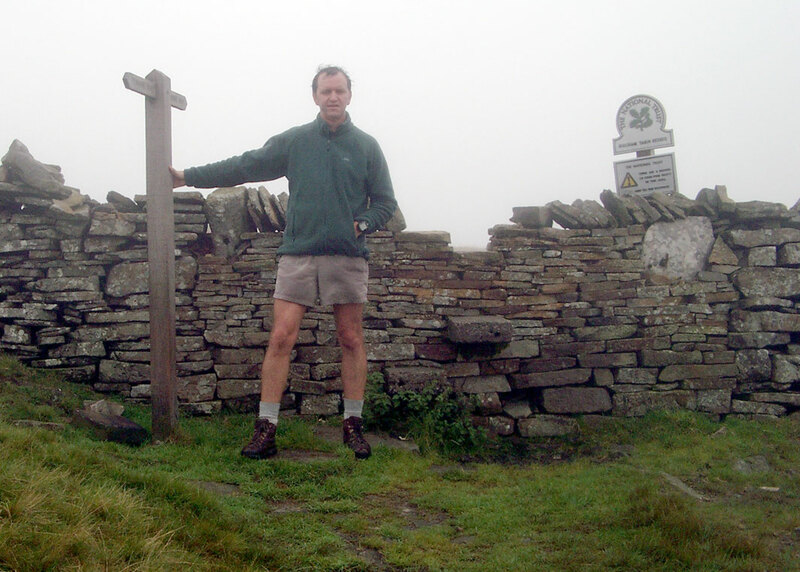 Returning to the E2, by 11.15 I was on the steepening track which leads to the Pen-y-Ghent plateau. I missed Hunt Pot, thus leaving an excuse to re-visit this great mountain, and was soon in the thick mist clinging to the higher ground. At the top of the steep section the track turns south: in the mist the way was still obvious even though the path was not as worn as I'd feared. The track turns and steepens again before the summit is reached. 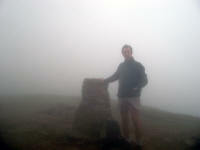 Here, the wind was almost gale force, and it was drizzling with visibility about ten yards. 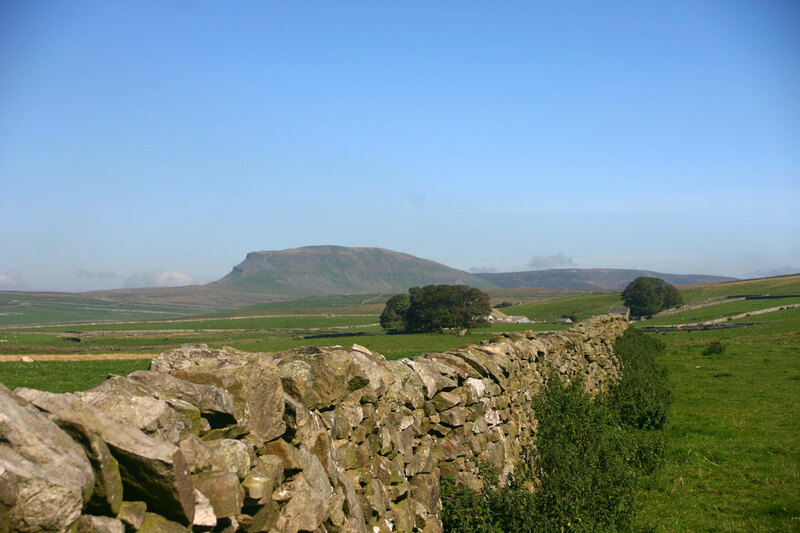 At 2273 feet, Pen-y-Ghent qualifies for the term "mountain": from the north this seems an academic accolade as it is little different from several other moderate hills in the Pennines. But the descent down the south side reminded me of many Lake District and Scottish peaks, with its ledges and steep, loose descents. It is this section which gives the mountain its very distinctive shape - perhaps the most attractive of the Pennine peaks and certainly the best on the E2 so far. The descent eased off quickly, and with it the mist. Eventually I reached a little road, with a slightly wider verge which was advertised as "parking" by the local entrepreneur. I'm not sure how much the honesty box here would turn over in a year - not much on this particular day, anyway. Parking lay-by with "Honesty Box"
A road-walking section (unusual on the Pennine Way) led to the turn-off to Fountains Fell. Just before the junction, I was approached by a young couple who were wanting to make their walk from Arncliffe into a circular walk via Horton in Ribblesdale. As they were hardly equipped for a damp day over the tops, and had no map, I advised turning north-east and following Pen-y-ghent Gill. I hope they took my advice. The section to Fountains Fell summit was hard going up steep and uneven ground, but it soon relented and by half past one I was at the summit of the path. The actual summit is a good distance from the path, but I don't imagine many make the diversion as it's all fairly featureless (particularly in mist!). In this direction, the way is ideal as it descends steadily on springy turf and firm peat. By 2.15 I was at the road near Tennant Gill. 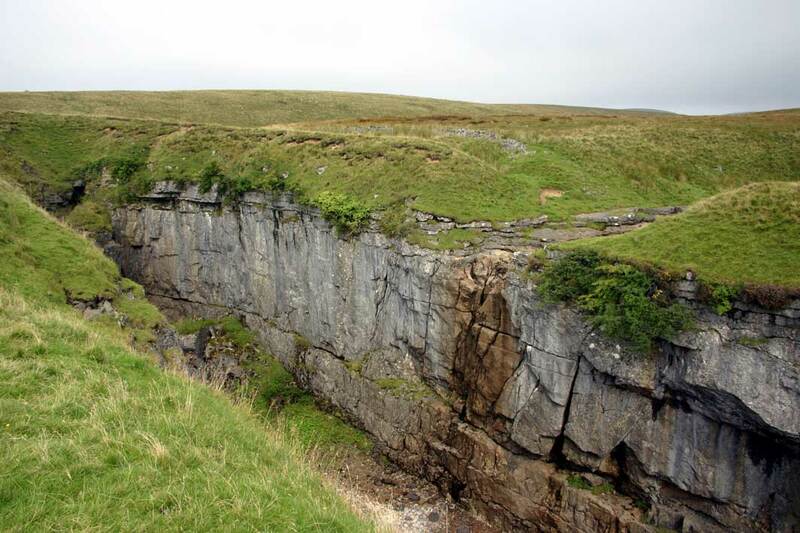 From here, a short undulating path led to the edge of Malham Tarn. In contrast to the very open fells I'd experienced for many miles, it was a relief to enter the cosy and very attractive woodland surrounding this most unusual lake. 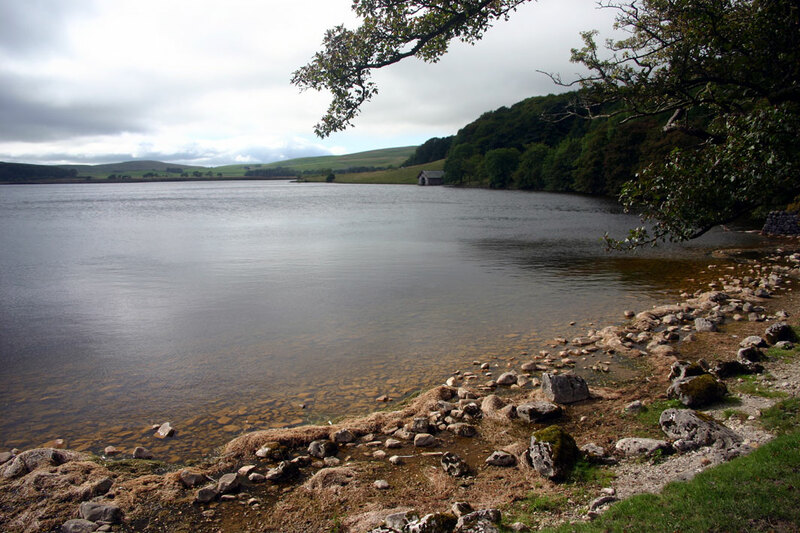 Despite the nature of the limestone around here allowing water to seep through so much that streams disappear into the ground almost everywhere, Malham Tarn is a natural sheet of water at over 1200 feet altitude, and more than half a mile across. 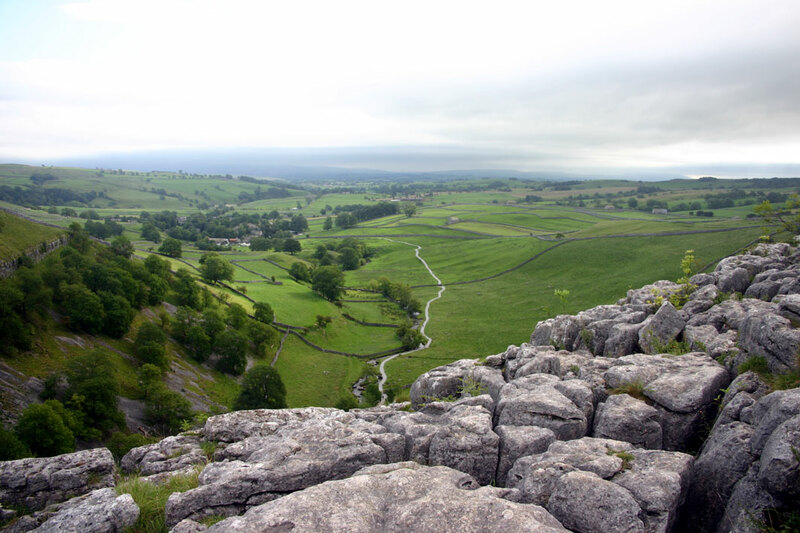 It's also a superb nature reserve (part of the Malham-Arncliffe SSSI), and its wetland areas carefully conserved. The elegant house is used as a field studies centre. 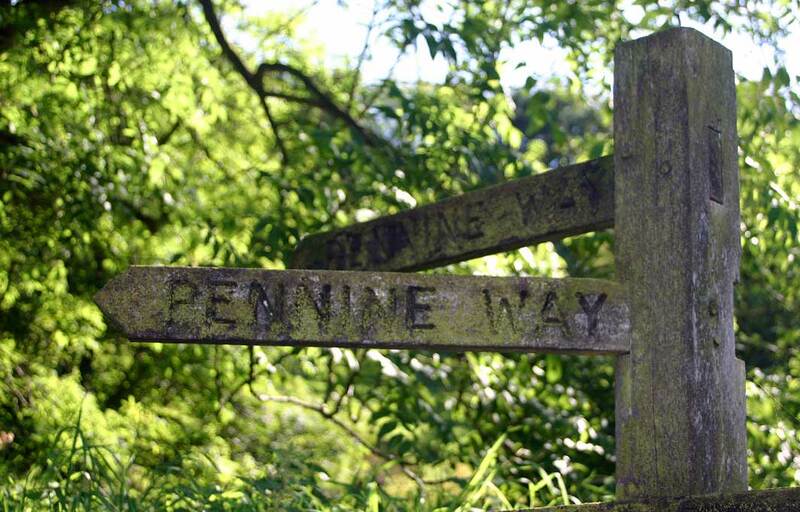 The Pennine Way takes a route through the grounds at the back of the house: surprisingly there is no indication of the way, but as long as you don't turn away from the Tarn you can't really go wrong. After passing by the house, the path follows the edge of the tarn for a short distance. A pleasant, level track then strikes south across pastures. Here, I missed a fork and took a small diversion, but soon re-joined the main path at the road near Water Sinks. The Way passes the beautiful stream as it disappears into the limestone at Water Sinks, then follows a deepening dale, known as Dry Valley. A steep descent into the valley is followed by an easy stroll until the landscape opens out again at the Limestone Pavement above Malham Cove. I was feeling quite tired on reaching the Dry Valley (the usual first-day feeling), and had a rest whilst inspecting the pavement. 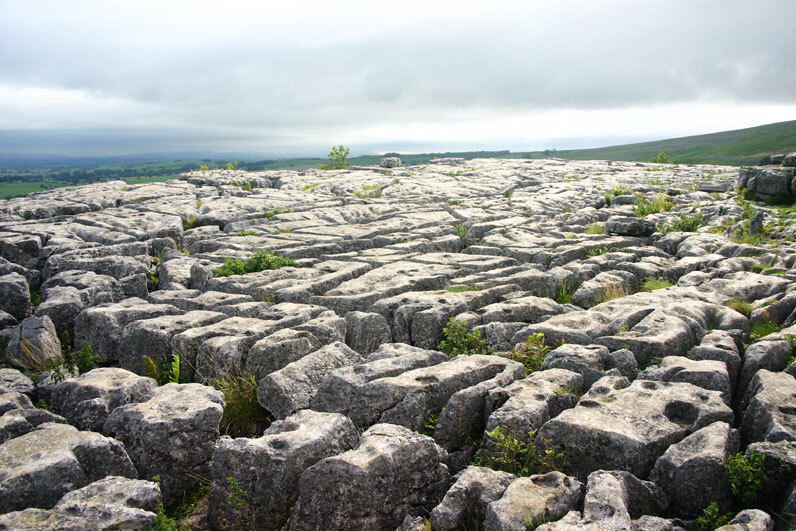 The clints and grikes of the limestone here are spectacular, and rounded as if turned by a great sculptor. There were a few tourists here: more appeared as I descended the steep path to the foot of the cove. As the weather had brightened, visitors had trooped up to the cove in hundreds to see the fantastic scenery and rock formations. A few climbers lay around at the foot of the cliff, sunbathing and contemplating the six feet of rock above the point they had just lowered-off from. The climbing on this particular cliff tends to be "sport climbing", where it is generally safe to fall off (though high, the rock is steep and smooth and frequent bolts provide protection for the roped climber), so climbers attempt routes which are slightly too difficult for them. This means that they may have to return several times before the eventual ascent is completed, and lengthy rests may be required between attempts. The air was much warmer at this lower altitude, so I enjoyed the weary trudge into Malham village as summer seemed to have returned. I met Chrissy at the River House Hotel, which was reasonable, with good breakfasts. We stayed here for two nights, as Tuesday (7th) would be a rest day, allowing us to spend some time together in this exceptional part of England. 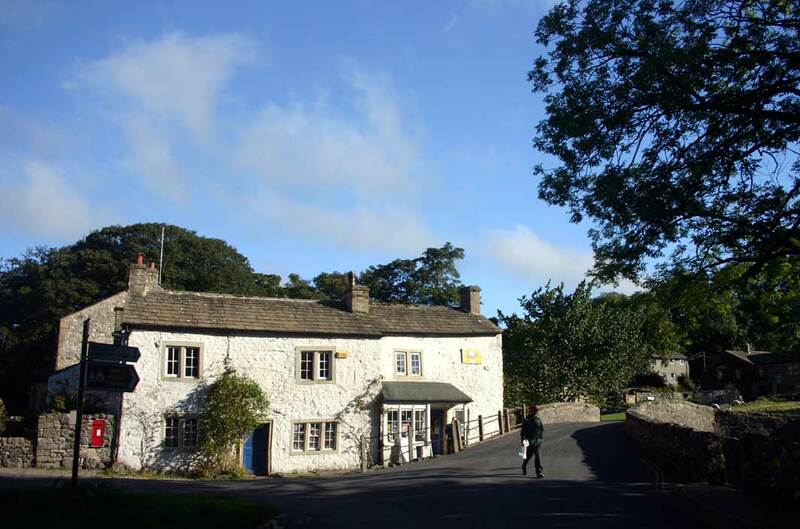 We had dinner at the Lister Arms, just over the bridge in Malham. 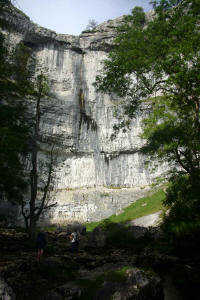 This was a good choice: in fact, we'd probably stay there if we visit Malham again. The pub was very comfortable, with a great range of beers and good food (we ate Mexican food here!). The company was good as well: there was a group of walkers who were walking the Pennine Way from Edale in the same fashion as me, i.e. at weekend and whenever they had the opportunity. 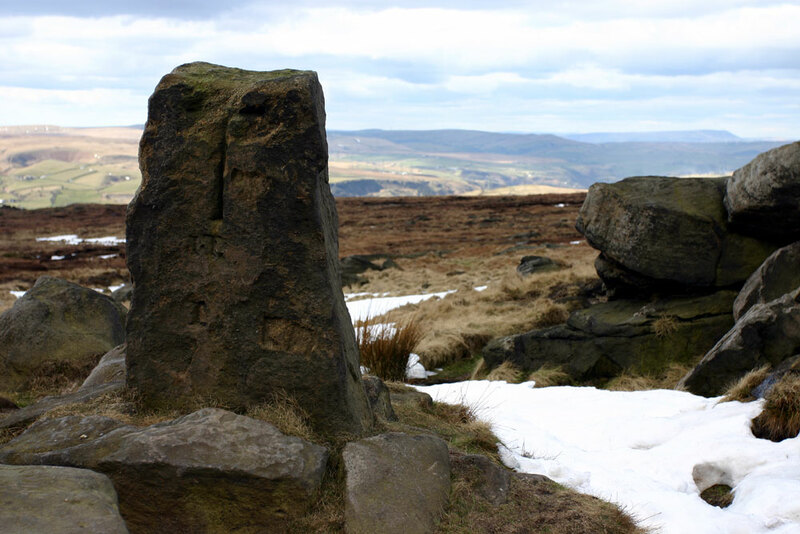 They'd met a Californian, Jim Cash, who was considerably older than anyone in their party but who left them behind as he marched across the moors. Jim was staying at the Lister with his wife Connie, who was performing the support role (like Chrissy). Jim impressed me with his knowledge of British ways and customs - he's even a member of CAMRA! The weather for my "day off" was superb, with bright sunshine and warm temperatures. 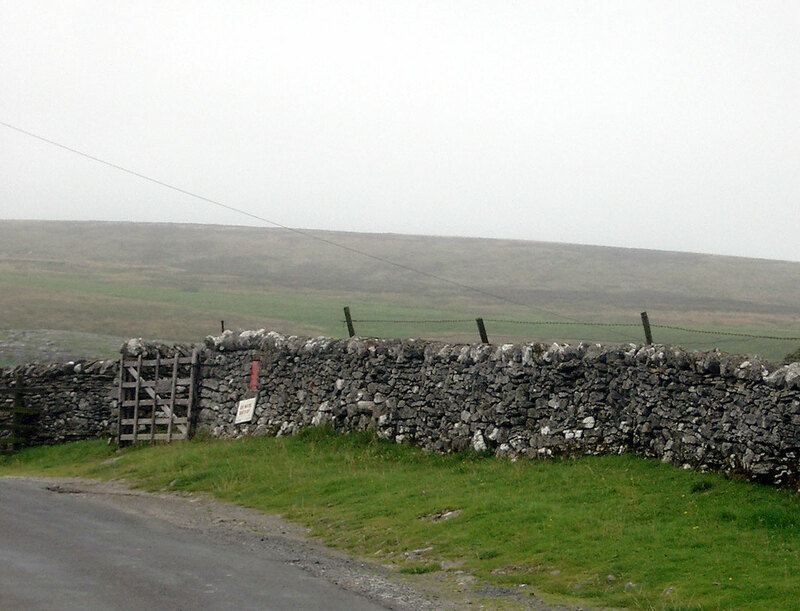 We visited Settle, and logged some nearby geocaches: with a few little adventures. 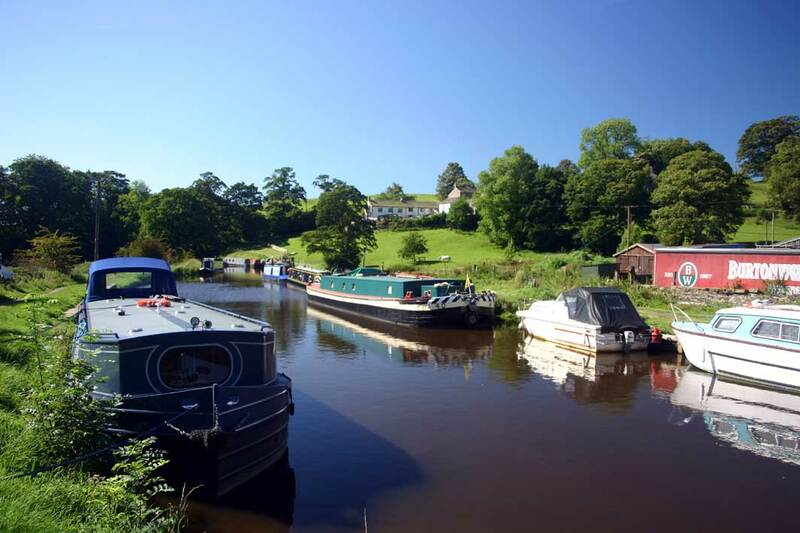 The next day's walk was going to be quite long unless I reduced it slightly today, so on returning to the hotel in the evening, I walked the very enjoyable and easy three miles along the Aire to the lovely little village of Airton. I only had a couple of problems: a bull next to the footpath which caused a little stress, and a confusing junction just north of Hanlith. We spent the rest of the evening in the Lister Arms with Jim and Connie, who had also had a rest day. 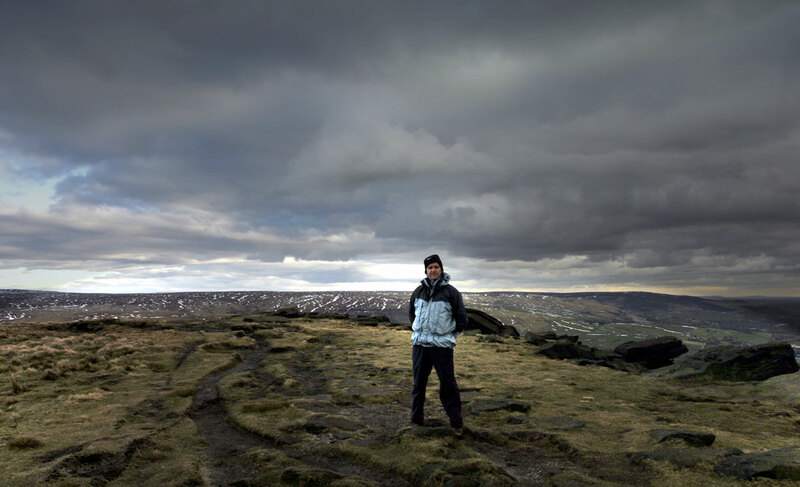 Jim was then heading north along the Pennine Way, aiming to complete the walk within the next couple of weeks. His account of the rest of his walk can be read here: it sounds like things got a bit tougher for him further north! Another fine morning dawned at Malham. Chrissy dropped me off at the end of yesterday's short walk at Airton, and I started off on a relatively easy and low-lying section across the Aire Gap, the pleasant rural area between the Craven Fault to the north and the rugged "Brontë Country" south of Skipton. 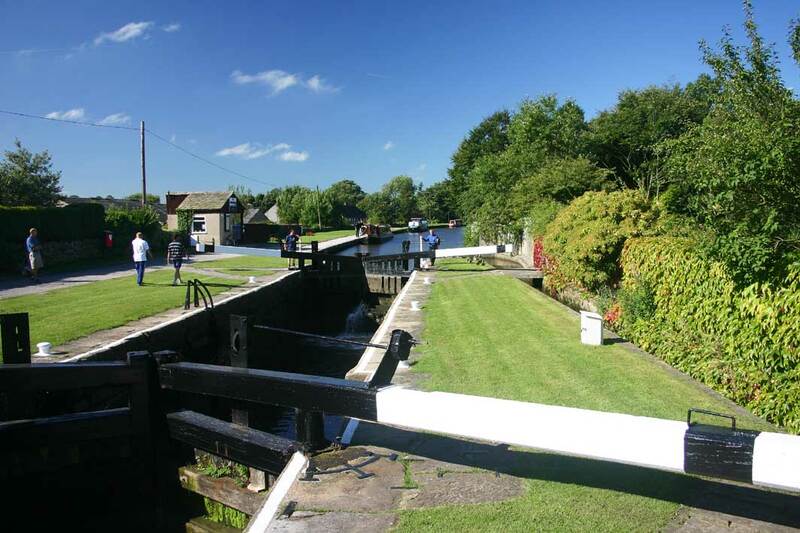 On a spectacularly fine, late summer day the countryside was at its welcoming best. Despite a slight discomfort near the end of the left foot I was fit and strong and the day felt like a real holiday rather than the usual expedition! 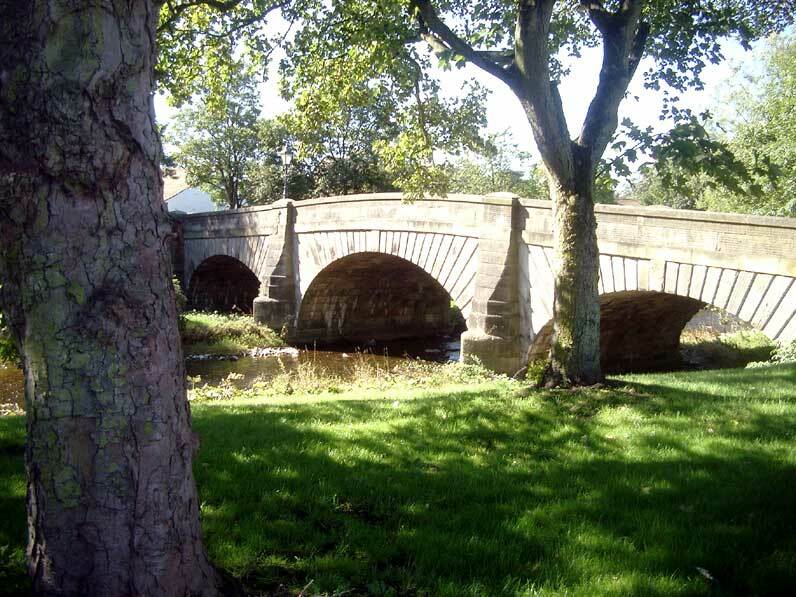 the undulating path led across green fields and by the side of attractive woodland (Mark Plantation), past the grand Gargrave House, until it reached the Leeds and Liverpool Canal, just north of Gargrave. 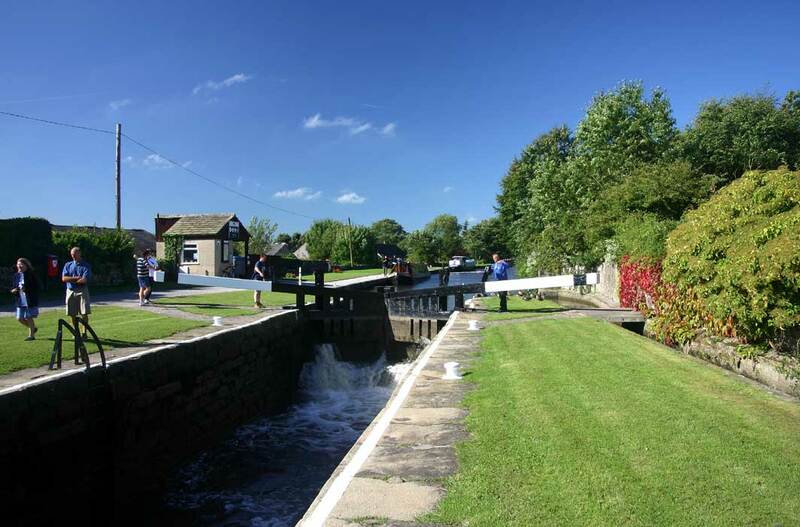 Here there was plenty of activity, and I stopped for a quarter of an hour to watch a couple of narrowboats negotiating the lock. A short stroll led to the centre of Gargrave, and a bridge leading over the Aire and back out into fields. I crossed the railway and headed south-west over more undulating hills towards East Marton. I passed an odd-looking hiker here, dressed like a walker but carrying a large plastic bag: not so odd on its own but he was also determined to follow the line of the stream at the edge of the field rather than use the path. Well, it was his choice, but the path was much shorter and easier and the plastic bag seemed to contain something quite heavy and awkward. 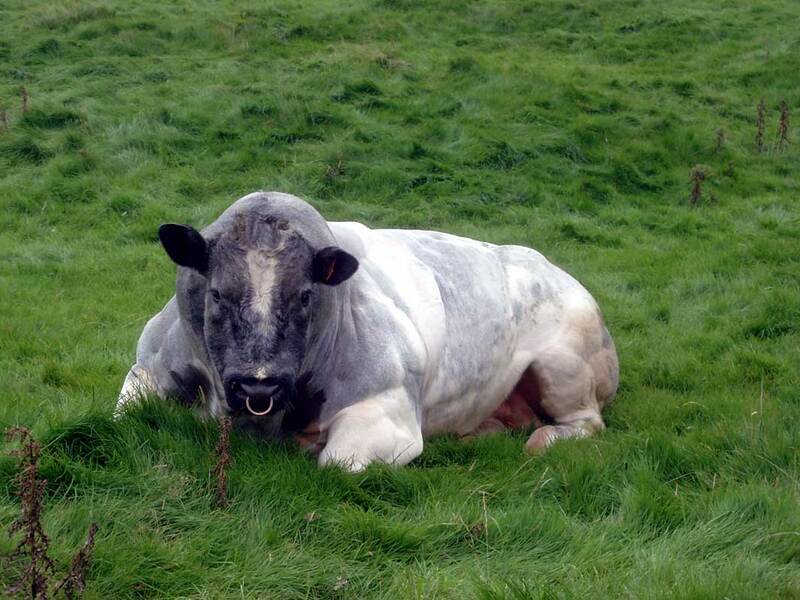 He was obviously finding it an effort as he appeared to be in a hurry as well, and the thick grass at the edge of the field slowed him down so I could easily leave him behind - not without some relief. I reached the edge of the canal, but it couldn't be seen for a few minutes and then I was on the towpath. 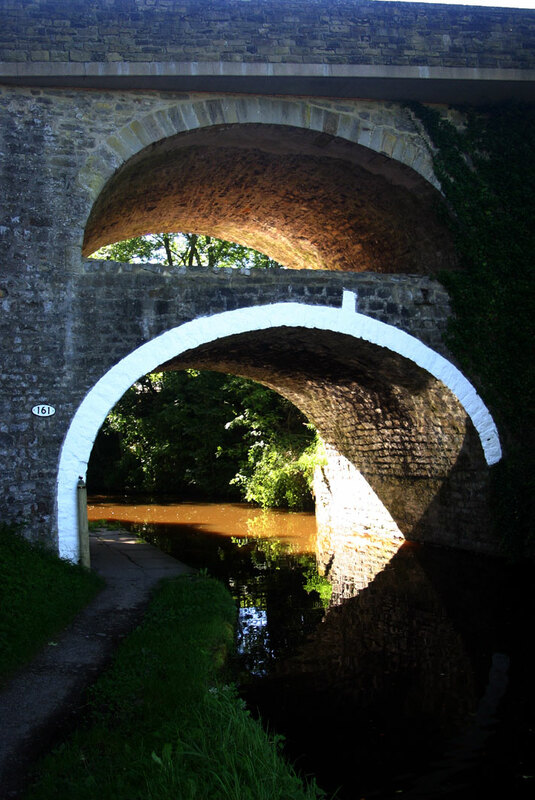 I was being slowed down around here by the photogenic appeal of the canal area! The short towpath stroll lasted for less than half a mile. The Pennine Way route finders were obviously embarrassed by the flat and easy nature of this type of walking, and the path was soon climbing a hill: more in character for this particular long distance path. The hill was short, then down and through pastures and over another short hill to the exquisite Yorkshire gem of Thornton in Craven. 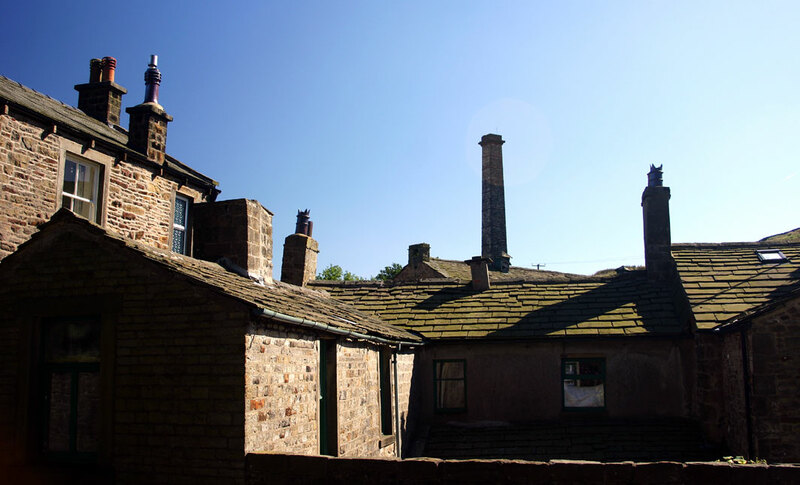 This is the type of village that most people will hardly notice as they drive through on the fast and busy A59 heading for Skipton, but the walker is privileged to see the lovely back lanes and well-kept gardens just off the main road. The Way headed east then south-east from here, before starting up the considerable climb of Elslack Moor. Though only an 850 foot ascent, this hill is quite relentless and the path begins across some awkward muddy pastures before striking straight up the slope. The rare sight of a couple of walkers ahead gave me an incentive to keep going - I caught them up just as they branched off left so I didn't get to speak to them. When they saw me go past, they realised they shouldn't have branched off (the path is vague in places here) but were soon a long way behind me as I gained height and entered the moorland. A short section of road walking then led me to attractive heather moorland and the summit of Pinhaw Beacon (1273 feet, 388 metres). The views were superb, with a slight haze masking any sign of buildings in the valleys and making the transition from civilised lowland to wild moorland all the more sudden. An easy descent to Lothersdale followed, with lizards avoiding my approaching footsteps and a clear blue sky giving the area an uncharacteristic Mediterranean atmosphere. No doubt Lothersdale can still appear grim and Victorian on a damp winter morning, with the remnants of mills and the traditional gritstone buildings, but there were displays of red, yellow and purple flowers everywhere, and perfectly renovated cottages with gravel paths and wrought-iron fences soaking up the sunshine. 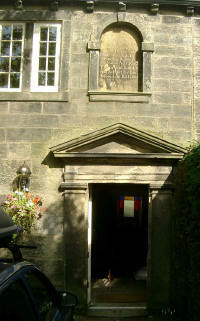 It was hard to imagine "trouble at t'mill" when everything appeared so relaxed and beautiful. 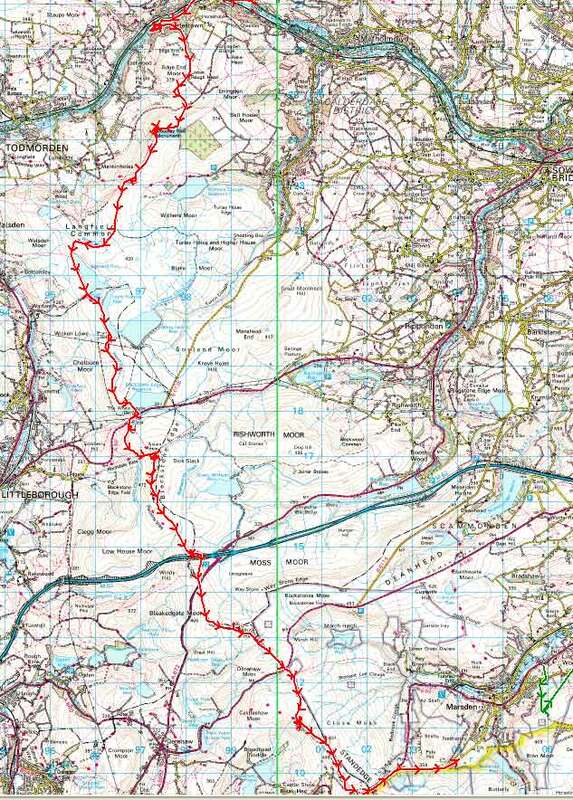 I'd reached Lothersdale at half past two, 13 miles walked that day. Still feeling strong, I took the steep steps out of the village, up a hill with fine views down the valley. 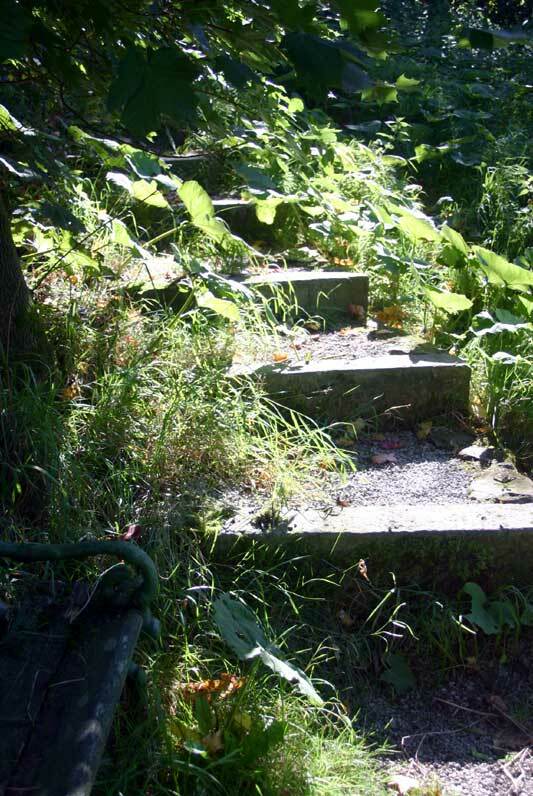 The steps ended with an even steeper climb which I romped up, much to the surprise of a group of ramblers picking their way gingerly down the same slope. Despite the 200 foot climb, I didn't need to stop and I checked my pulse, which was still slow - this journey was making its mark on my fitness! Down the path went again, to Surgill Beck, where another walker was resting. "Ready for this?" he enquired. I looked up and realised what he meant: another big set of giant steps with another steep hillside behind: another 200ft of brutal climbing. "Don't worry, no-one does it in one go". This wasn't meant as a challenge but I couldn't resist attacking it at speed and not stopping until the road was reached high above. Down again into Gill and up a shorter hill, and I was in Cowling, the end of today's march. I called Chrissy, who was sitting outside the B&B waiting for it to open. It wasn't difficult to find, being almost opposite the Post Office, but Woodland House was closed and locked up: it was only half past three so we weren't complaining. A pub would do nicely to sit and wait - after sixteen miles I was ready for a pint. The pub down the road was closed, however: so was the one in the village. So we returned to Woodland House and tried the doorbell again. Luckily, the proprietor answered the door and welcomed us in. Although not much from the street side, the house was very attractive at the back, where a conservatory took up half of a small but well-designed garden. Cowling was full of surprises. I'd begun to worry about the chances of getting a decent meal that evening, and the couple in charge of the B&B (walkers themselves so very sympathetic to the Pennine Way traveller) recommended the restaurant just a few yards along the main road. The Harlequin didn't look too promising from the outside but turned out to be excellent - great, high-class food at a reasonable price, real ale and fine wine. Now recommended by us as well! The final day of this short trip dawned fine (another fine day - who said that the Pennines attracted bad weather?). A perfect breakfast and a reasonable bill began the day well, and our hosts were keen that I found the shortest way back to the footpath out of Cowling. I didn't really need directions, as I was determined to take up the path where I left off - I'm fairly fastidious about sticking to the route although exceptions have to be made occasionally! Half a mile of walking along the busy A6068 didn't particularly appeal, so I allowed Chrissy to drop me off at the previous day's Pennine Way end point. 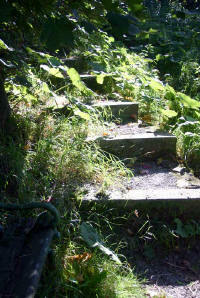 There is a network of confusing footpaths around here - I'd be interested to know their history. 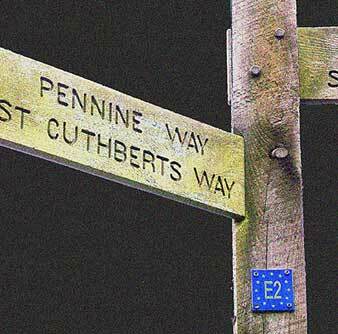 The problem was that none of them appeared to be the Pennine Way, and the signpost had disappeared. So I walked up and down the road for fifteen minutes, until I took the plunge through a likely-looking entrance to rough pastures. The path headed up a hillside, across a field, but then faded leaving me with a dilemma. As there was likely to be a gate in the corner of the field I went for the corner. Through the gate was a tarmac track: at least the going would be easy even if it was initially heading west rather than south. Eventually my diversion turned back onto the Way and I felt that I was on the move at last. It was half past nine by this time: although the day wasn't likely to be particularly arduous I prefer to get a few miles in the bag quickly to allow a relaxed afternoon. So I increased the pace as I approached Lumb Head, on the way to more serious ground on Ickornshaw Moor. 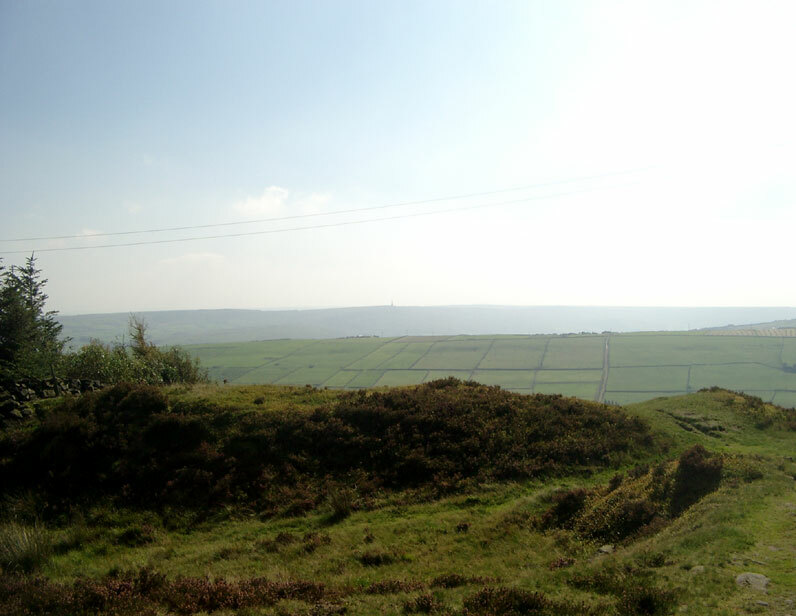 The steady uphill walk across Ickornshaw Moor was pure delight. Every few yards was a shooting cabin, with little chimney and odd little extensions. Shooting must be very popular around here: I'd never seen so many cabins in such a short distance. 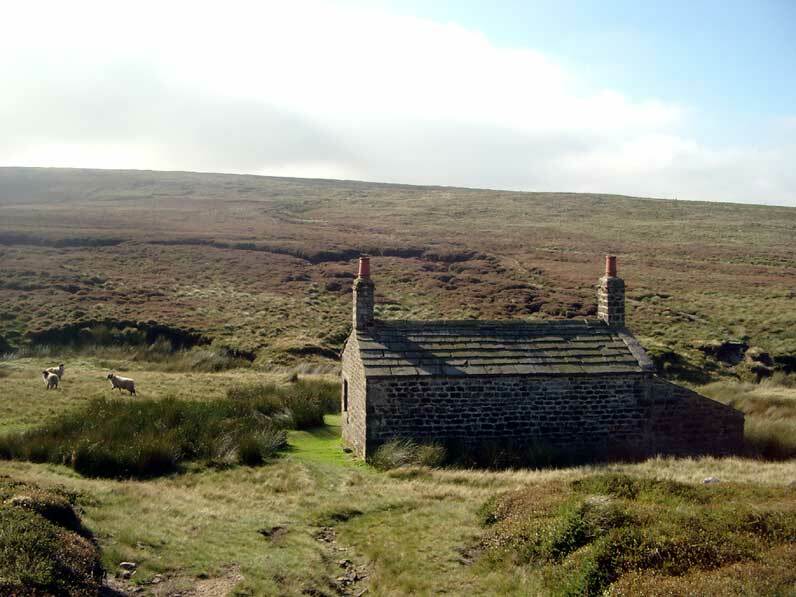 The final cabin (in the photograph) was the grandest, being stone built, but also marked the beginning of rougher moorland and the path was lost for a period. 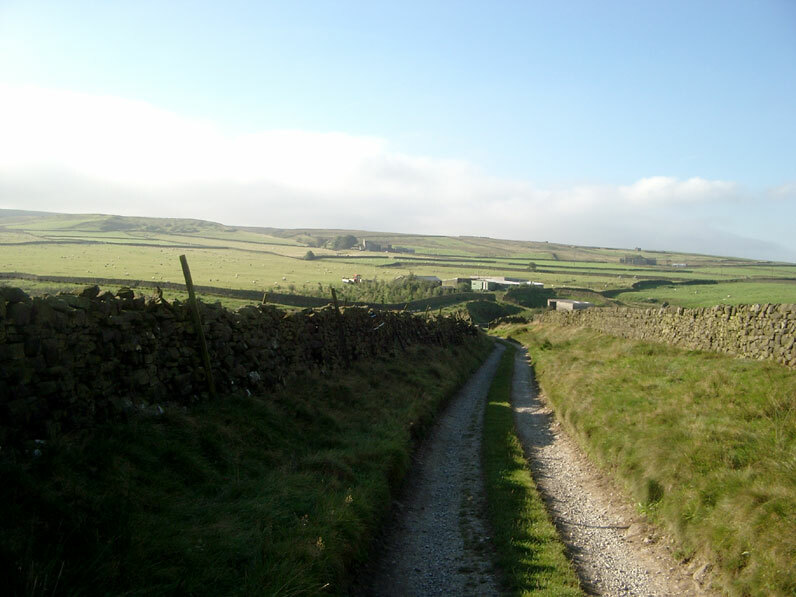 The going was easier than expected - the rough, boggy ground was crossed by another Pennine Way flagstone path. These flags are sometimes a little harsh on the feet, but are a boon for crossing what would have been difficult and slow marshland. 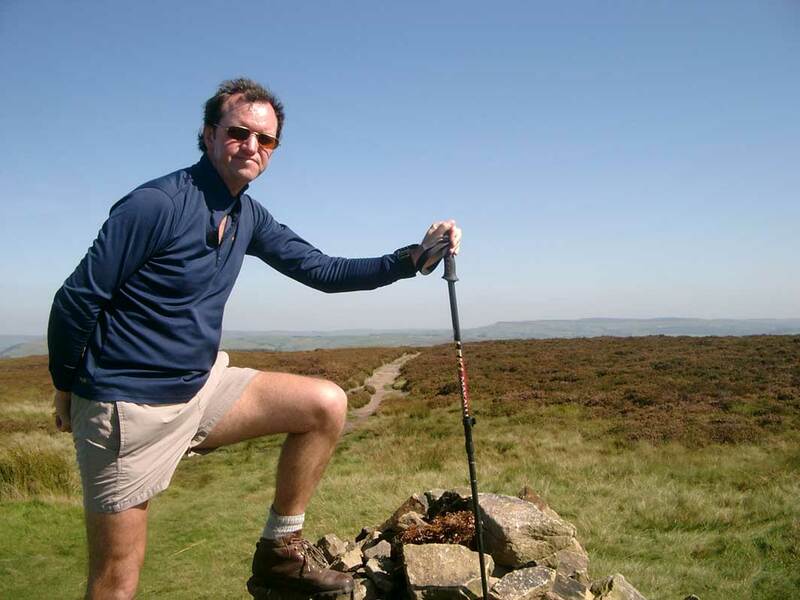 They also appear very successful at halting the erosion of moorland paths, as the popularity of hill rambling was taking its toll on the ground in many places. By 10.20 I was over the top of the 1400 foot hill and soon reached the road above Ponden Reservoir. Route finding required a little care here, but I was soon walking along a pleasant lane the other side of the reservoir. I reached Ponden Hall at 11.15 and stopped to have a look at the beautiful old house, with its lovely stonework and stained glass windows. 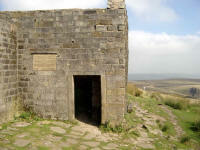 It was obviously being renovated and builders were busy on the interior of the building that was reputedly "Thrushcross Grange" in "Wuthering Heights". A school party was learning canoeing on the reservoir nearby - they were lucky that the sun was shining and the temperature mild. From here, a couple of short steep climbs led to a change to a south-westerly direction as the excellent path led directly towards that Mecca for the Brontë aficionado: Withins. I overtook three ladies, out for a stroll up the hill, and passed an attractive little camp site. The track stayed wide and easy as it climbed the hill, but quite hard and stony and I imagined the occupants of the high houses rattling up the hill in a horse and trap - it would have been bone-jarringly uncomfortable. I stopped to inspect a spring beside a ruin, but soon as was at Top Withins. 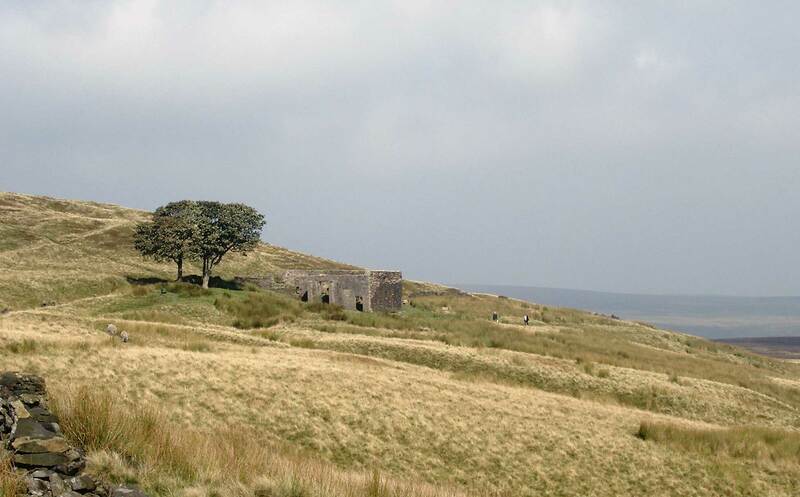 This is a crumbling ruin with a sweeping view across desolate moorland, and was supposedly the inspiration for Emily Brontë's famous book (which I've never read). It was certainly an atmospheric spot, and I waited for one of the ladies who'd broken away from the other two to catch me up here. 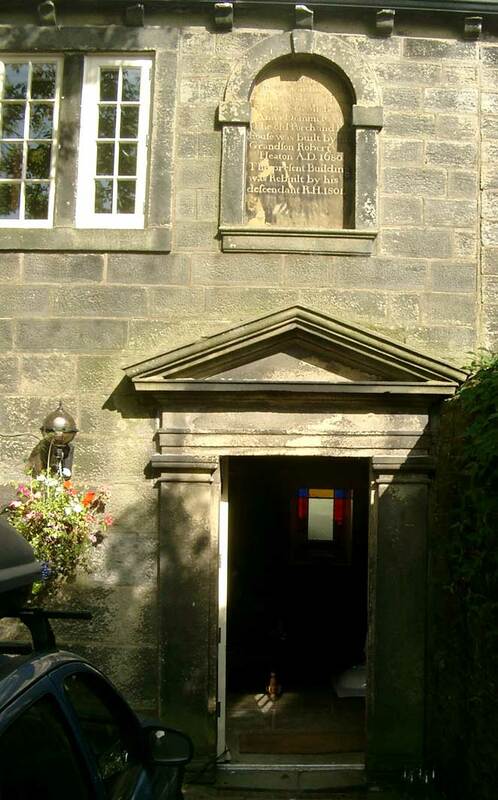 Though living in Skipton, she had a beautifully soft Cork accent and spoke of Brontë's depression, which surely wouldn't have been lifted by visiting this wild, lonely corner of Yorkshire. 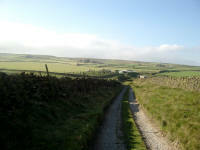 The way continued over the top of Withins Height, down a steady path to the middle Walshaw Dean Reservoir. 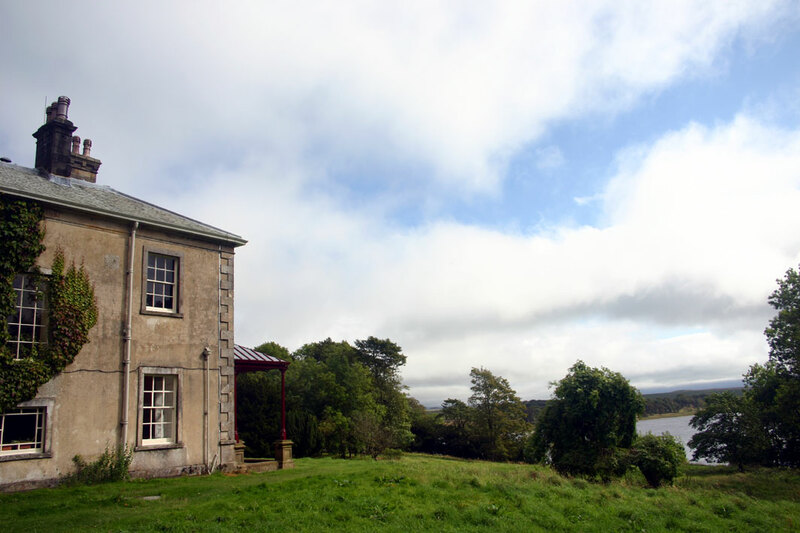 The severe landscape here, dark, peat-stained water and no-nonsense tussock-grass hillside, was broken by the large house on the edge of the dam, with a covered swimming pool incongruous in the parsimonious environment. 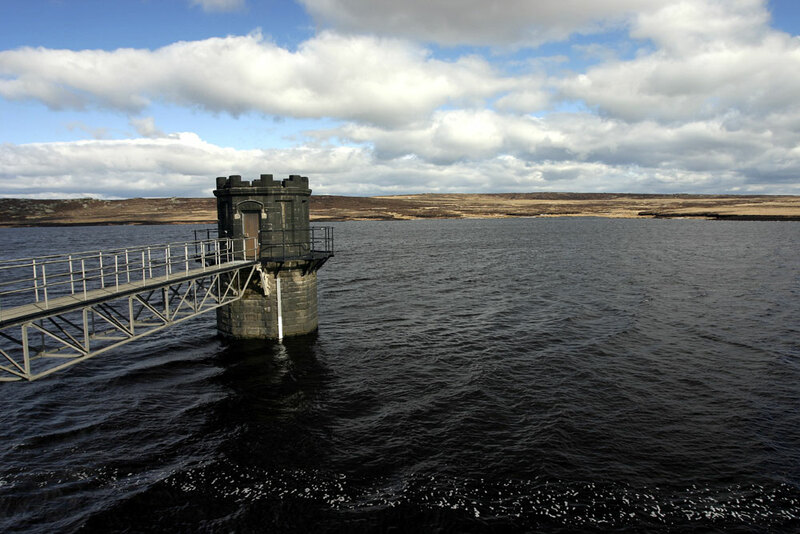 A notice suggested that the Pennine Way continued on the southern side of the lower reservoir, but I followed the map as there was no indication where the diversion would lead. This led along a level tarmac road towards the exit below Widdop reservoir. On the way, I encountered a shepherd in a land rover. He herded the sheep expertly down off the moor and into the road just in front of me - I managed to skirt the flock as they turned off but then they were herded back along the road and were catching me up - from my GPS track I can see that I was walking at 4 m.p.h, increasing to 4.5 as they began catching me (I wasn't worried about them except that I might be blamed for forcing them back off the road so I tried to stay well ahead! ).Luckily, they turned into a field (well trained) just before they finally reached me, and the noise of five hundred bleating animals began to fade. 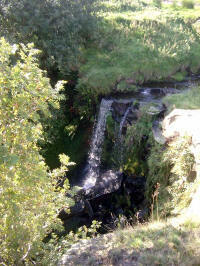 From the road junction near Flask, the path tuned off down a steep gorge, and crossed a footbridge at Graining Water. I stopped for a drink of water here, and to enjoy the warm sunshine sheltered from the slight but cool breeze higher up. The moors opened out again above, however, but eventually there was a turn in the path and I was at the high village of Colden. A short walk along the road would have taken me to the wonderful Heptonstall, but today the route was due south, heading for the Calder and the Rochdale Canal. 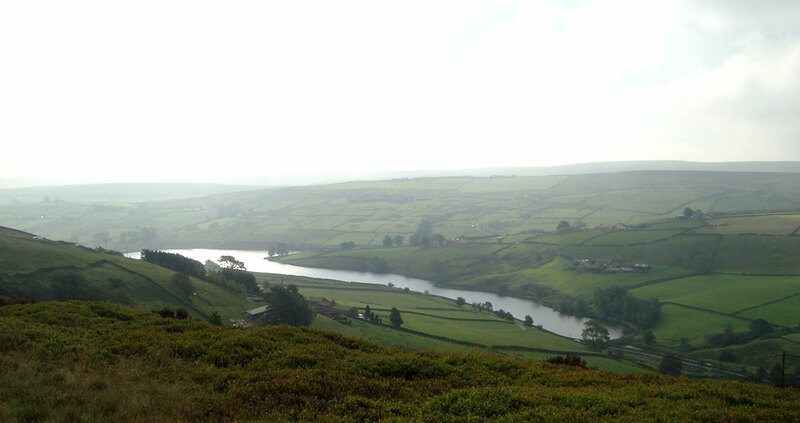 The final descent to the Calder valley was one of the highlights of the walk. Drenched in sunshine, the winding track led down past knots of little cottages - hippy-style at first then more middle-class - and pots of Mediterranean flowers. All too quickly, I was down in the valley, and at three o'clock back at the car ready for the drive to Liverpool and the flight to the Isle of Man. Though my left foot was hurting badly, it was a shame to leave the area on such a fine day: I'll be back to continue as soon as I can find the time (and when the foot has recovered - still hurting ten weeks later!). This stage was planned for a fortnight earlier, but heavy snowfall scuppered this arrangement and I re-scheduled the walk for mid-March in the hope that the snow and cold weather would have cleared. The snow was only scattered about on higher ground by then, making a long hilltop walk feasible. The temperature was still cold, however, and with a biting wind on the hills it was to be the most chilly day on the whole E2 so far. The approach to the day's walk was more complicated than usual. Chrissy was not on this trip, so I had to find a way of making a 17-mile stage into a circular route. I did this by flying to Manchester on the Friday night (March 11), hiring a car then driving to Marsden, where I would stay for three nights. This meant that I could catch a train to Hebden Bridge on Saturday morning, then walk back to Marsden. 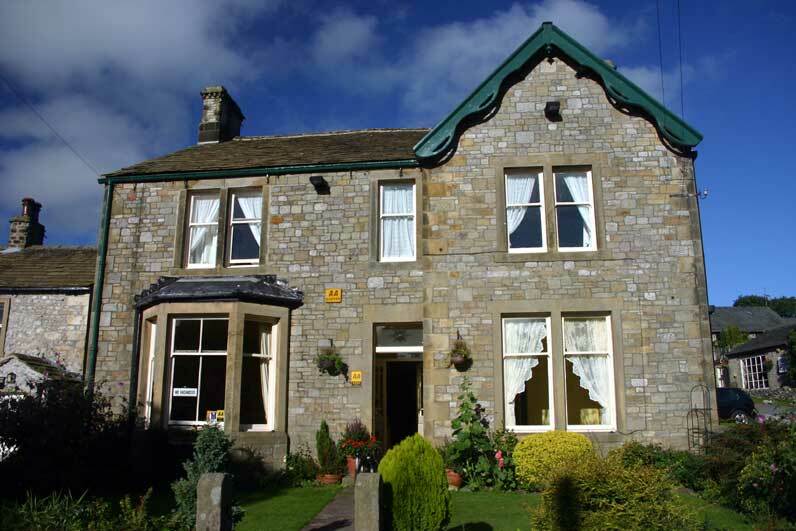 I stayed at Forest Farm, a B&B about a mile south-west of Marsden centre. This proved a sound choice, being cheap and friendly with excellent breakfasts. Mr. and Mrs. Fussey, the owners, are trying to run the business down but there's a dearth of accommodation in the area and an increase in visitors so they are finding themselves inundated with bookings. Mr. Fussey used to be a wrestler, so has plenty of interesting stories from those days! After an early breakfast on Saturday morning, I drove down the icy road to the railway station and waited for the train to Huddersfield. It was a pleasant wait in the sunshine despite the cold, and the train arrived on time. I had three-quarters of an hour in my old stamping ground of Huddersfield before catching the train to Halifax. Here I changed trains again, for the short haul to Hebden Bridge. This was the only late train (20 minutes overdue): indeed it was a bad day for passengers on this line as this Manchester-bound train was going to terminate at Rochdale. Passengers for Manchester would have to catch a bus, except those with heavy luggage who would have to make their own way. British Rail was never this bad, was it? By 10.15 the journey was over and I was free to make my way back to Marsden at my own pace and without interference from road works, rail schedules and the like. 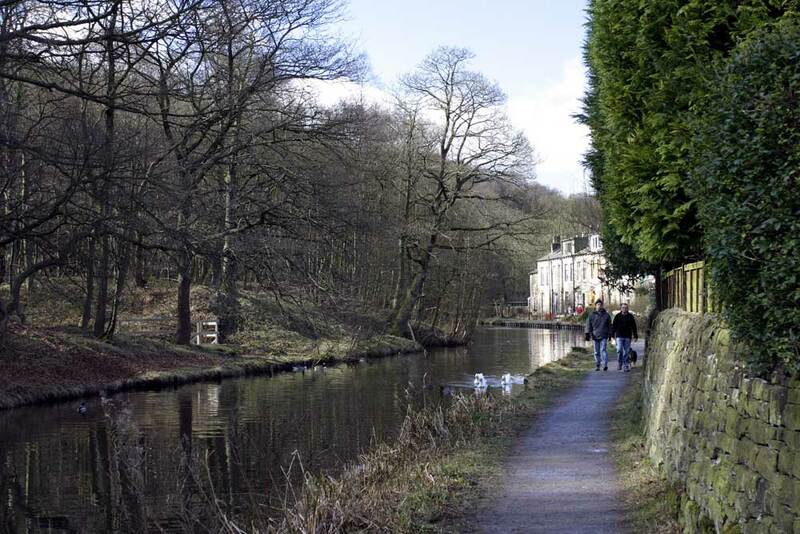 To reach the Pennine Way, I walked along the very pleasant Rochdale Canal for two miles. 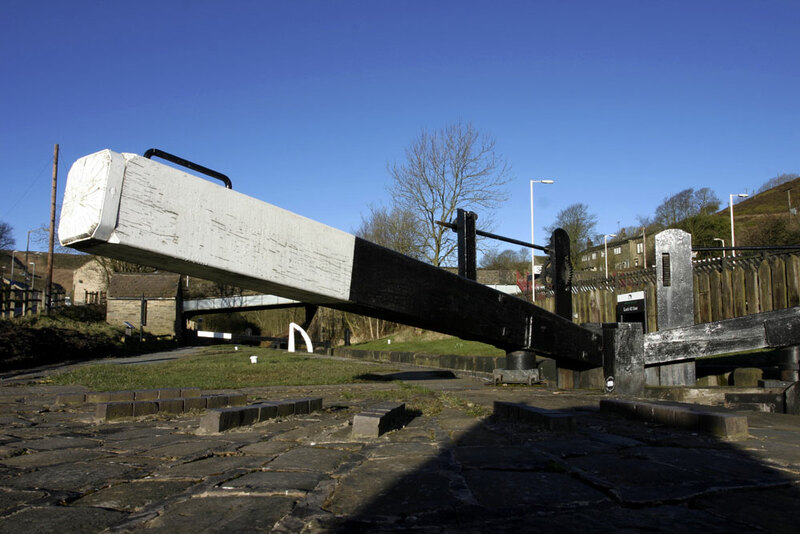 Though icy cold, the walk was a great warm-up for the day's trek, and took me past the edge of the delightful Hebden Bridge, with its alternative energy centre and hippy canal boats. The grind up the hill to Edge End Moor was just enough to get warm, and I was entertained by the dozens of muddy fell runners slithering their way down the track as I matched up. This must be the toughest of sports, and the runners continued to appear for the next hour - some of them must have been several miles behind the leaders. 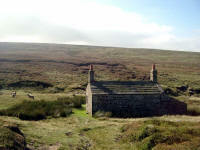 Edge End Moor became a moor properly after the farm pastures of Lower Rough Head, and the Pennine Way attacks the side of the steep hill leading up to Stoodley Pike. The path up the hillside is quite rough in these wet conditions, and it's difficult when there are patches of ice and frozen ground scattered at random between the rocks and soft, boggy spots. The fell runners were still taking this stretch at speed - it's a wonder there were no injuries. 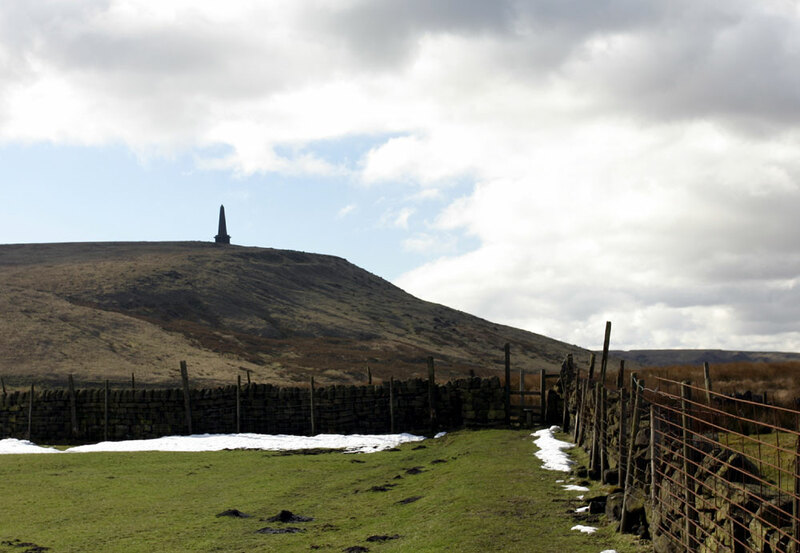 Stoodley Pike has been on the horizon for a long time, and it felt a significant moment on reaching it. The wind was extremely cold, and I had to shield my face from it as much as possible. I was wearing thermals, two fleeces, hat, gloves, scarf and windproof jacket - a far cry from the day I approached Hebden Bridge from the north last September! But the day was bright and the views magnificent, so I stopped for a while, admired the scene, and entered my name in the geocache log book ("Nothing to do with fish"). To get an idea of scale, note the person sheltering from the wind in the photo above. 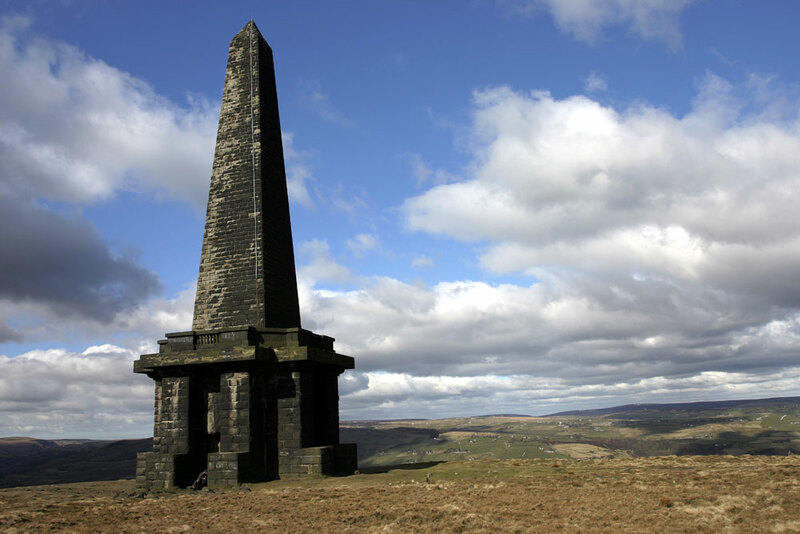 The monument is 120 feet high, and commemorates the abdication of Napoleon in 1814. There is a staircase inside leading to a viewing balcony but I didn't venture up this. From Stoodley Pike the Way led south-west over the featureless terrain of Langfield Common. 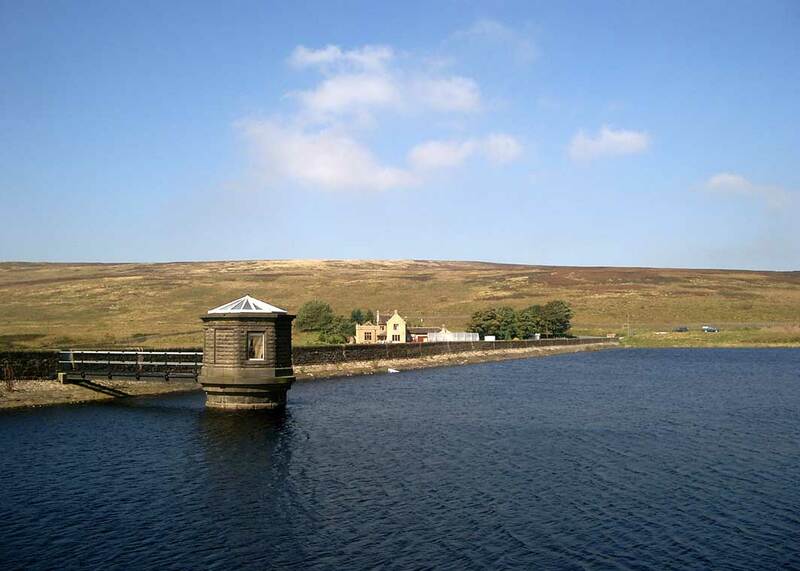 Flat, easy walking meant good progress past the reservoirs and by 1.40 I was at the White House Inn on the A58 above Littleborough, with ten miles completed. From the road, a short pull gained 200 feet, via the Roman Road leading to the Aiggin Stone. 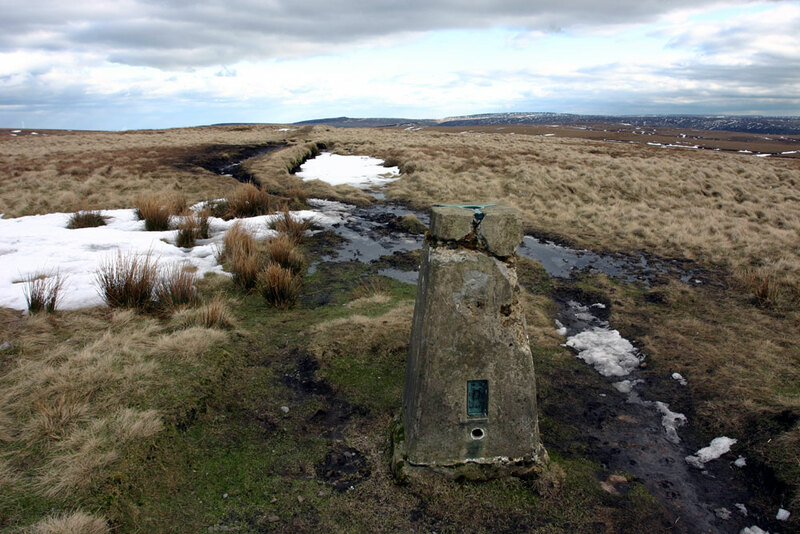 This ancient guide stone has been re-erected since Wainwright's day, as his guide shows it on its side. 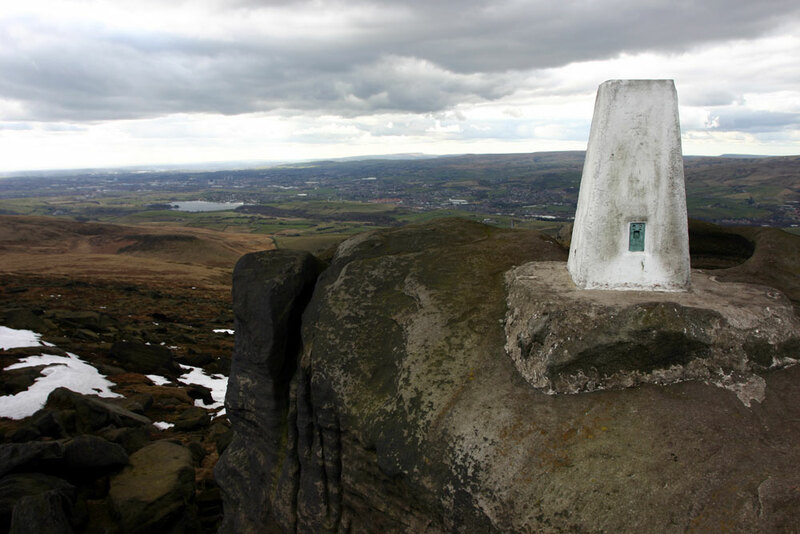 Another geocache provided a break here, then I continued up the hillside to Blackstone Edge. 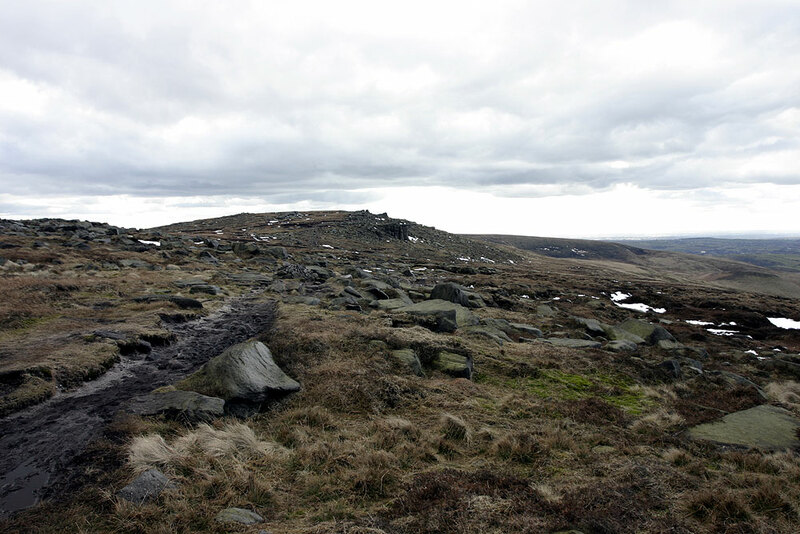 The going around the summit is very rocky, but a welcome change from the dreary marching across the moors to the north. However, more snow was appearing - the drifts had clearly been heavier here than further north, and were taking longer to thaw. The descent to Windy Hill led to another geocache, which I added to my collection. At three o'clock I was crossing the famous footbridge across the M62. 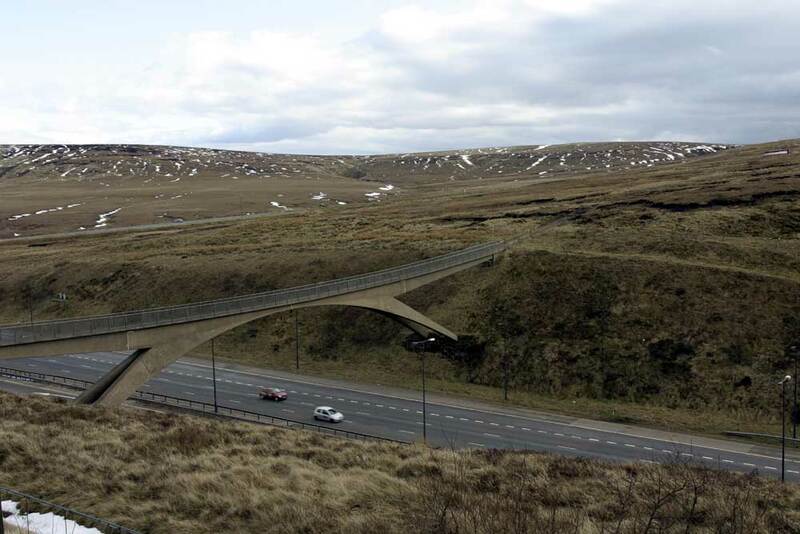 The motorway building was started in 1966: it's hard to imagine trans-Pennine transport without it. 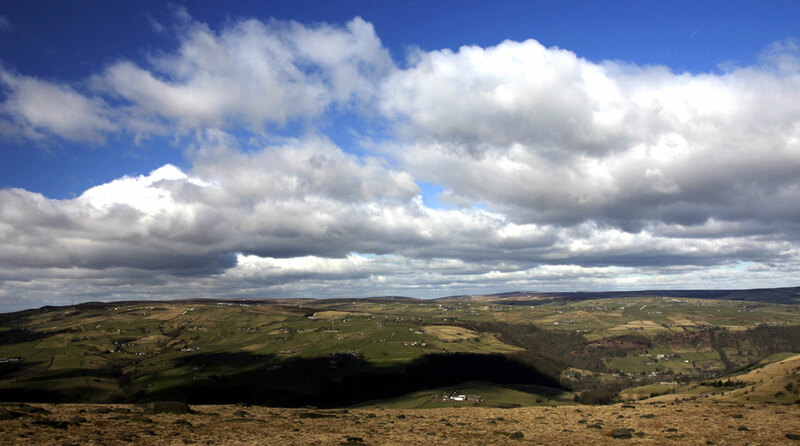 The gentle ascent of White Hill followed - little more than a vague rise in the height of the moorland. By half past four, just about on schedule, I was on Standedge. Here the snow banks were quite a problem in places, as they tended to be deep on the path making progress slow and awkward. 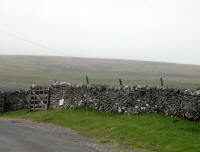 The descent from Standedge led to the A62: here I turned off the Way and trudged down the road back to Forest Farm. 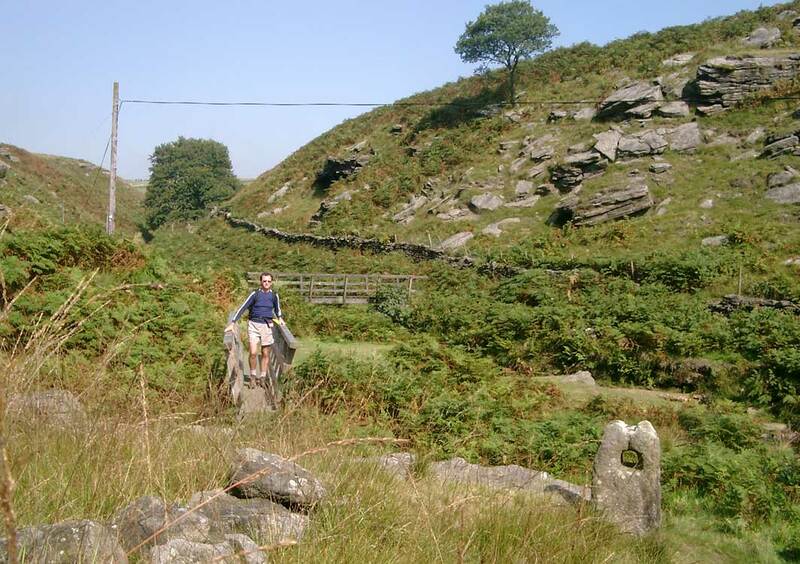 In fact, the Pennine Way section of the E2 was now complete and I would have to manage without the assistance of a National trail from here southwards. The evening in Marsden was very pleasant: I visited the Riverhead Brewery Tap, with excellent beers brewed on-site this is not to be missed!